Carry a memorable wallet size photo with your important keys. Large clear acrylic frame and keychain combination. Dimensions: 2-1/4" x 3-1/4". 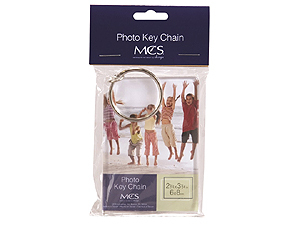 Carry a memorable wallet size photo with your keys in this clear acrylic frame and key ring combination.